I’m gradually working my way around Boxpark in Shoreditch, as it’s really close to where I work and perfect for meeting up with friends during my lunch break. You might have read my posts about Chicken Box, Sushilicious and Falafelicious so far. Porky’s is your typical American BBQ restaurant. 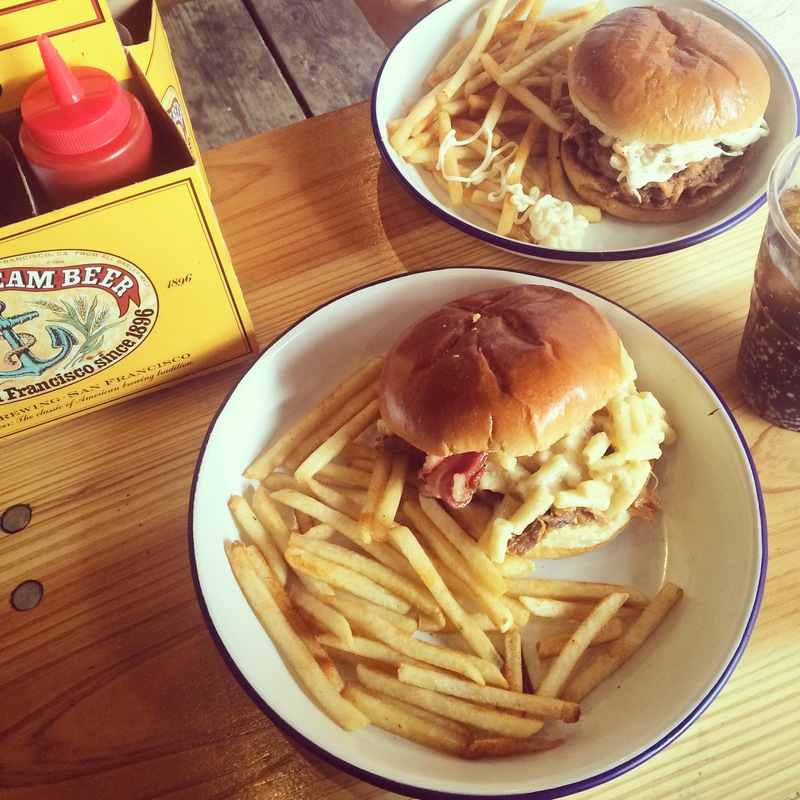 It was first established in Camden by Joy and Simon Brigg who wanted to bring their love and experience of American Barbecue to North London. The now also have a branch on Bankside, as well as Camden and Shoreditch. The food is what you’d expect – chicken wings, burgers, pulled pork, ribs and so forth. It all looked incredibly yummy! In my mind, there’s nothing more indulgent and comforting in this kind of food. Kelly went for The Standard pulled pork sandwich with coleslaw and I had The Mac Porky – pulled pork with mac n cheese (one of my guilty pleasures!). A heart attack/heaven on a plate. 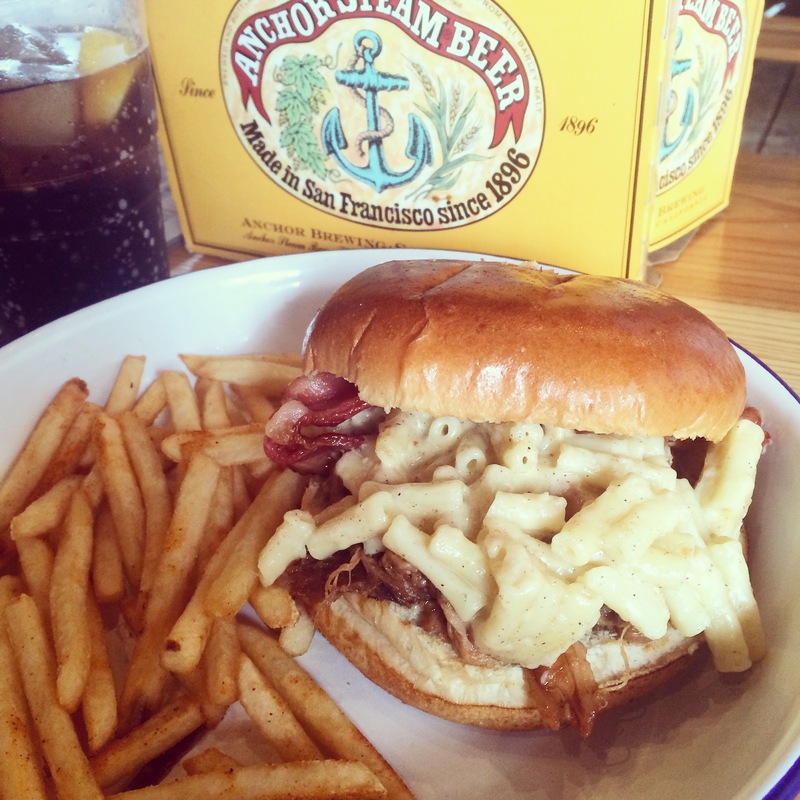 The pulled pork is hickory-smoked for 18 hours and both sandwiches were served in a brioche bun. It was a quick and easy meal but it was very tasty, with some of the nicest pulled pork I’ve had in a while. I’d love to return and try some more dishes on the menu when I have a bit more time.